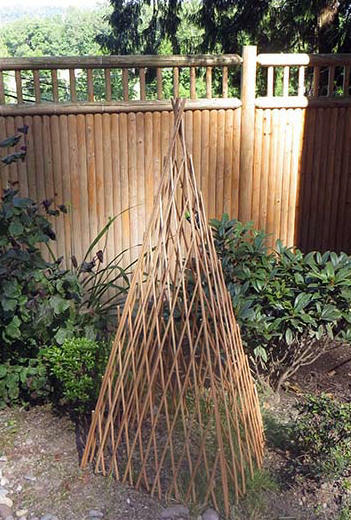 Our classic willow garden landscape products are made from natural willow sticks. Firstly, the skin or bark of the willow sticks are removed, cleaned and are gone into a carbonized chamber to high temperature steam. Carbonizing creates the light mahogany color of the willow sticks as well as killing off any insects that may reside in the wood. Stain attacks the surface of the wood, with some degree of infiltration into the porous surface. 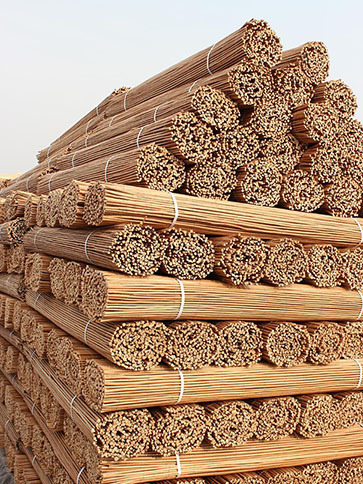 But carbonization is a heat-intensive method (steaming or boiling) that works deeply on the very "sugars" within the willow sticks. If you have ever seen the process of sugar caramelization (white sugar turning brown under the application of heat), you'll have a good idea. 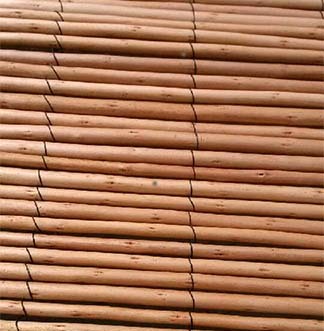 They are then dried to industry standard for furniture grade wood stick material to make our products. The classic carbonized willow sticks will age like wood. 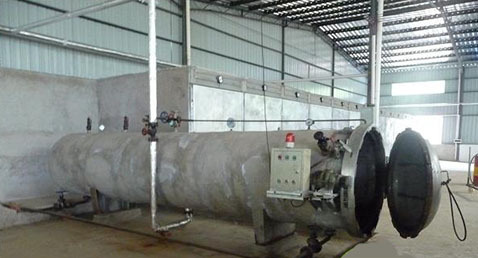 Carbonization also acts as a high temperature "insecticide", it is all natural with no chemical or chemical residue. 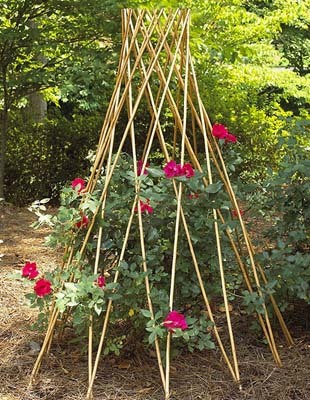 This makes them last longer than other type of willow material in the outdoors. 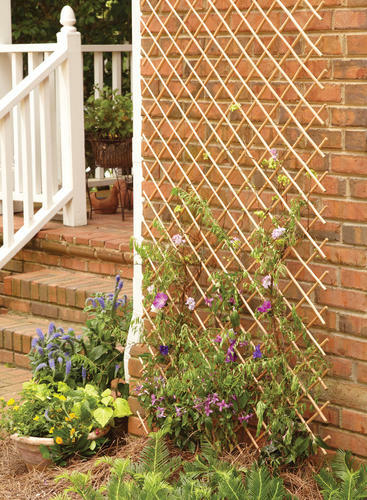 Bark-less classic willow products are excellent for the outdoors and indoors. We recommend putting a coat of linseed oil or outdoor sealer to preserve the peeled skin willow product in the outdoors.